FENDI WAVES FF240/S 40G9O ARE A CATSEYE OPTYL STYLE PAIR OF SUNGLASSES HIGHLIGHTED BY THE STRIPED CORNER DETAILING. FENDI WAVES FF0240/S 40G(9O) IS A SQUARE CATSEYE STYLE MADE USING TRANSPARENT YELLOW OPTYL. THE CATSEYE STYLE IS EMPHASISED WITH THE STRIPE DETAIL WHERE THE WAVE NAME IS DERIVED. THE ANGULAR TEMPLES ARE FINISHED WITH COMPLIMENTARY BLACK ENDS TO TIE IN WITH THE STRIPE DETAIL. 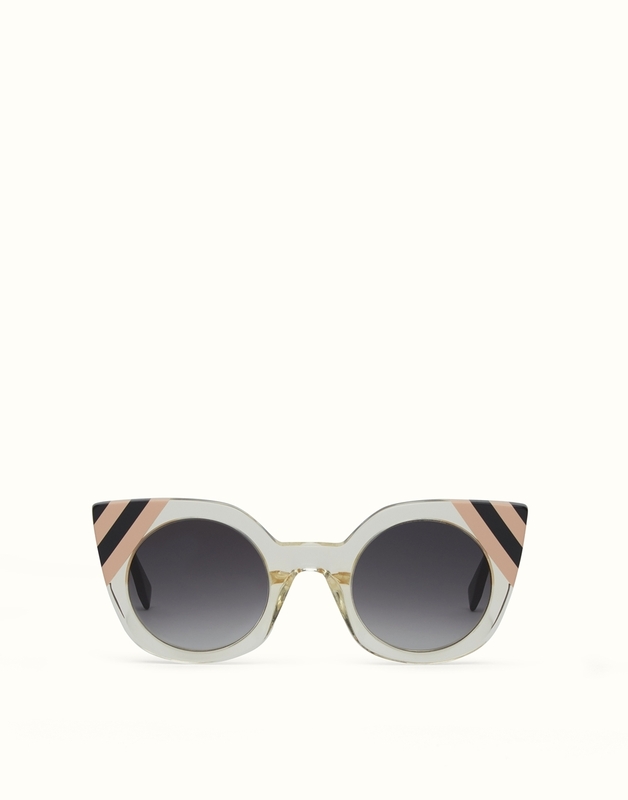 FENDI WAVES FF240/S 1EDUY ARE A CATSEYE OPTYL STYLE PAIR OF SUNGLASSES HIGHLIGHTED BY THE STRIPED CORNER DETAILING. FENDI WAVES FF240/S 35J9K ARE A CATSEYE OPTYL STYLE PAIR OF SUNGLASSES HIGHLIGHTED BY THE STRIPED CORNER DETAILING.